MORE CUSTOMER SERVICE SNAFUS « THE BRYCE IS RIGHT! – Four stories which you will undoubtedly relate to. We have all experienced some sort of customer service snafu over the years. I have written about several of them in the past, and just when I think I have seen everything, some knucklehead pulls another screw-up which causes me to shake my head in bewilderment. I have four more installments for your enjoyment. First, there was Hurricane Hermine which glanced Florida in late August. As I live on the west coast, in the Tampa Bay area, we only received the back-end of the storm. Nonetheless, we experienced a power outage in our area. This is not uncommon for us, and service is normally restored promptly, but this time it was an extended period. As usual, we dutifully called Duke Energy to report the outage, which was answered by computer. We were told the problem had been reported and Duke was working on it. Twelve hours later, service had not been restored and we received no notification of our status. In other words, she was working from a script and was not allowed to think or help the customer. I was appalled. Then again, maybe I was still talking with a computer. Oy! My second story involves my mother who had a fraudulent charge added to her MasterCard bill last November. She contacted the company promptly to explain the error and, theoretically, they would explore and correct the problem. This went on for several months, whereby the charge was removed from her bill but added back on the next month, while accumulating interest charges in the process. My mother was forced to write several letters to MasterCard along with copies of past bills to show the error. This became so obnoxious that she stopped using the card completely. So much for a cordial relationship. I received a frosty response from the clerk after that and I’ll be curious to see if the charge is indeed removed from her bill. If so, she intends to destroy the card and kill the account, which she has held for a number of years. My third story involves an artist friend living in southwest Ohio. He had just completed a piece of artwork on a Thursday and rushed it over to the local UPS store to ship it to New York by Monday. Unfortunately, when he arrived the clerk informed him the truck had already left for the day and his shipment wouldn’t get there until Tuesday, which was unacceptable. This is when she began to suffer from a bad case of the stupids. My friend pulled out his smart phone and quickly located three other stores. “Here, can you call them for me?” he asked. “But I don’t know these people,” she claimed. Evidently not, thereby compounding my friend’s problems. Naturally, he went to FedEx who delivered his artwork on time to New York. My last story involves my local cable operator, Bright House. I had used the company’s cable, ISP, and land line services for a long time. Over the last few months though, I noticed my bill slowly increase to about $170/month. When I received a brochure in the mail from one of their competitors, I called to see what they could offer me. To my surprise, they could lower my monthly bill by $70. Of course, I gave them the okay to proceed. I then called Bright House to cancel my service. Frankly, the clerk wasn’t interested in why I was leaving. He simply processed the termination order and that was that. I was surprised they couldn’t care less why I was leaving them. You would think they would try to determine my reason for leaving and try to keep me as a customer, but such was not to be. 1. Such companies are really not concerned about the customer unless it directly involves making money; as to customer problems, forget it. 2. Customer service representatives are not given any authority to solve problems. They only follow scripts and not allowed to think outside the box. As such, they are not resourceful, thereby making them useless. This is why you should always ask for a supervisor or someone higher when reporting a problem. 3. Voice Mail is designed to prohibit customer contact, not improve service. It is intended to frustrate the customer, not solve problems. By creating a frustration factor, companies wear out the customer in order to have them pay the bill as opposed to waiting for a customer service rep who is incapable of helping them. 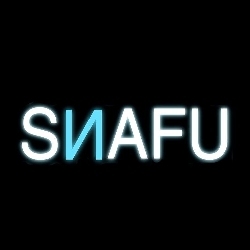 By the way, anybody remember where the word “Snafu” comes from? It’s an old military term meaning, “Situation Normal, All F***ed Up.” And that pretty much describes the state of customer service in this country. NEXT UP: PRIME TIME MORALITY – Does everything on TV have to be rated “R”? LAST TIME: IT’S SHOWTIME! – The 2016 election is finally here. This entry was posted on November 9, 2016 at 7:00 am	and is filed under Business, Management. Tagged: Florida, MORE CUSTOMER SERVICE SNAFUS, palm harbor, The Bryce is Right, tim bryce. You can follow any responses to this entry through the RSS 2.0 feed. You can leave a response, or trackback from your own site.